Yes, both the RUN3 and RUN6 offer solo categories. What if my team-mate gets injured and can’t complete the race? You are permitted to join up with another team or another runner who has lost a partner and will be an official finisher. You will receive a finishing time although your time will appear in the results under the “Unclassified” category. If you don’t finish a stage, you can still start again the next day as well. Mid August is at the end of the Summer season in the Colorado Rockies, so the weather can be quite variable. Anything from hot sun to deep snow is possible. Come prepared for all weather conditions! We provide backpacking tents for all runners. You can book single occupancy or save a few dollars by sharing with your teammate or another friend who is participating. We set these up for you and take them down each night (except at Beaver Creek). One tent (7x 7) is provided, and extra tents are available for a fee if you require additional space. Remember to bring your own sleeping bag and pad. Monday, August 13th, 2018 – Noon to 5:00pm. South Main Square. Tuesday, August 14th, 2018 – 7:00am – 8:30am. South Main Square. How much is the massage and where is the sign up? Massage is offered through the end of Stage 5 @ $90/hour. Sign up is on Monday at registration. Where and what time is the Opening Ceremonies? Monday, August 13th – 6:00pm – 7:00pm – South Main Square (across the street from the Eddyline Restaurant and Brew Pub (926 South Main)- open air park beside the Arkansas River. Where is the start of Stage 1 and what time do we start? South Main (same place as the Opening Ceremonies) Start time is 8:30am. When is the first meal that is included with my registration? Tuesday, August 14th – 5:00pm. Arrowhead Point Camping Resort (big white catering tent). I’m a little nervous about the first day on Tuesday, can you walk me through what I should do?? Bring a drop bag to leave at the start…look for the white cargo van with the drop bag sign on the windshield. 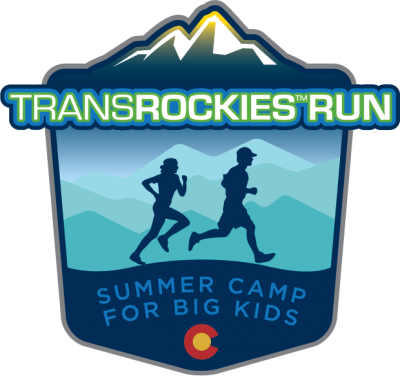 Pack your TransRockies duffel and leave it in front of your hotel – we will have shuttles buzzing around town from 6:30am – 8:15am picking up your duffel bags and extra luggage. You will not have access to your extra luggage throughout the race. What if the shuttle has not made it to my hotel and I need to start walking to the start? No worries, just leave it outside and we’ll pick it up. Is there a number to call if I’m worried about my bags being picked up? What if my hotel is not in Buena Vista? Make arrangements with Houda after the opening ceremonies. I understand the Stage 1 finish is not where we camp? How do we get to Arrowhead? We will have shuttles running from the finish to Arrowhead all afternoon. You guys don’t provide lunch, where will I eat?? Stage 1 - The folks at Arrowhead will have a BBQ going from Noon to 4:00pm. Please bring cash. Stage 3 - Nova Guides - they will have a BBQ at the finish line -Please bring cash. Stage 4 - Red Cliff - everyone has fish taco's and marg's at Mangos. Please bring cash with you on stage 4. Stage 5 - Vail - you can walk to Vail Village for lunch. Is there a place to hang out at camp? Yes, we have ChillVille set up at every camp. Free soda, phone charging and snacks await you. Are there showers at camp? Yes, we have a shower truck that will follow us around at every stage. It is open from Noon to 9:30pm everyday. Yes, we will have extensions cords at the shower truck so you can blow dry your hair. Is there internet access in camp? WIFI is non-existent in Nova Guides and Red Cliff. Arrowhead has free WIFI but it is not reliable. I’m taking the 1:00pm shuttle from DIA to BV on Monday and I’m nervous about getting to registration on time? No worries, we’ll have the big bus drop you off at South Main Square so you can pick up your race kit. The Big Bus will wait and deliver you to your hotel after you have picked up your race kit. Where do I park my car in Buena Vista? South Main in the gravel parking lot. Please see Emily at the Race Office for a map. If I get a t-shirt at registration and it doesn’t fit, can I exchange it? Sure, but please wait until the finish of Day 1. If we have the size you would like we will exchange it at the race office. Look for the green TRR flags. What is on the mandatory gear list? I have booked the shuttle after RUN3. Where do I catch that? You will meet the shuttle by the big tent that dinner is served in. Please go to the baggage truck to gather all your belongings before departure. Where does the shuttles meet after the final night? What is the size of the duffle bag provided with registration?